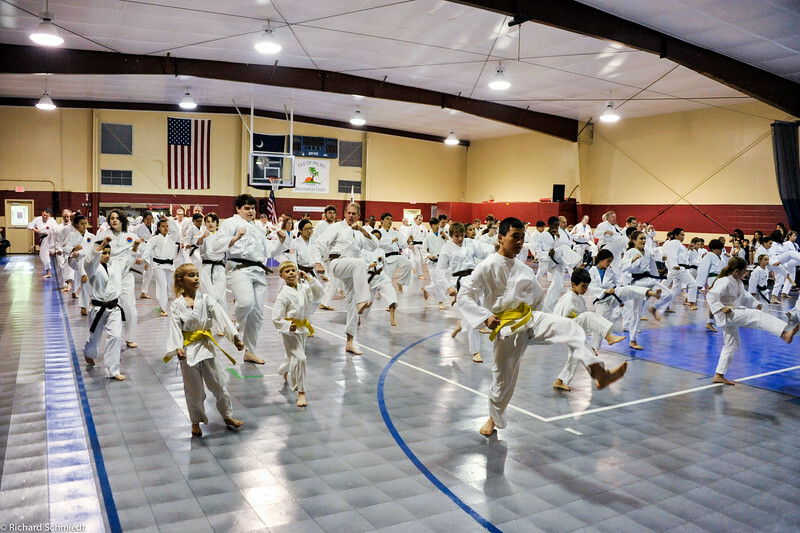 This Gallery has photographs from the USA Tae Kwon Do Masters Association (USATMA) Black-Belt Tournament and Test that took place on April 18th and 19th, 2015, at the Isle of Palms (IOP) Recreational Center in SC. This was an international tournament in that we had Alyssa who teaches in the Cayman Islands this year, as well as participants from all over the US. The images are in chronological order and cover the opening Tournament through Black Belt testing and the Sunday morning workout. Given my handicap needing a crutch, no flash was used this year, so the images were taken at a high ISO, so more grain and blur than usual will be evident. The photos can be bought as prints at cost online or downloaded by expanding a photo to its original size and simply right clicking to download. Enjoy! !